Do Jews have a future in the Democratic Party? When you do the math it just doesn’t add up. Bam! Just like that, another Democrat comes out of the closet. How many more to follow? Good old anti-Semitism, always a loyal sidekick to the ideological left, is right back in fashion. 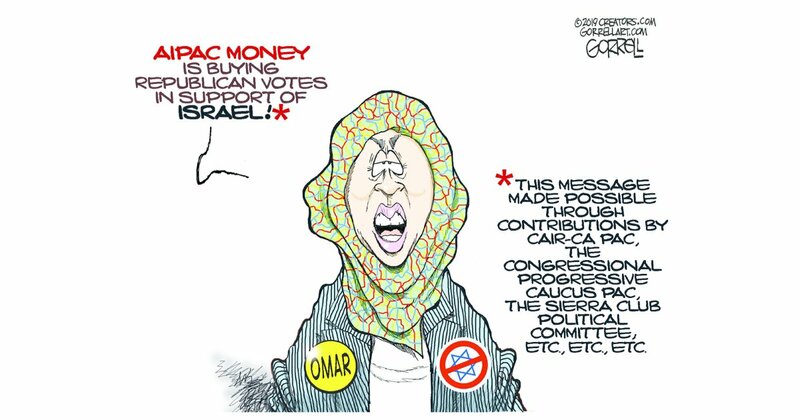 Little by little, trope by Omar trope, one democrat after another is queuing up to turn Israel into the pariah they know their base wants. And if tiny Israel is the pariah, Islam, which surrounds Israel, is surely the victim. What makes Sarsour, Beto, Omar, Tlaib, AOC, and the rest of the Democratic field that is sure to follow in these footsteps, certain they can get away with it? Failure of their party to condemn anti-Semitism in a symbolic gesture earlier this month? Silence by Jewish colleagues, the likes of Chuck Schumer, Diane Feinstein, and Richard Blumenthal? Assurance of generational conditioning of American Jewry to Democratic Party allegiance? Perhaps the public’s clinical adherence to political correctness? Or, is it the broader complacency of average Americans whipped to fear the “Islamophobia” charge as if it was God’s wrath itself? All of the above, but on the surface only. The real reason is much simpler, albeit not as apparent. In 1970 there were approximately 100,000 Muslims living in America. Today there are 4 Million. Current fertility rate for Non-Muslim Americans in the USA is 1.6. For a society to sustain itself with the same cultural demographic a ratio of 2.11 children per family is required. Historically, no culture has ever reversed even a 1.9 fertility rate. With Muslim families reproducing at a ratio up to 8.1 children per family, American voter base is quickly changing, to say the least. Islam is now the fastest growing religion in the United States, and is poised to replace Judaism as the second largest religion in the country. In 2004, the Islamic Strategy Conference in Chicago reportedly predicted 50 million Muslims living in America by 2035. As the native Judeo-Christian population of America shrinks, so does its culture and, more importantly, its voter base. Beto and his campaign team know fair well what the emerging demographic landscape looks like. Nancy Pelosi and her entire Democratic establishment understand this basic math, too. They are not dealing with the ‘what if’ scenarios but rather a hard-core reality shaping up before all of our eyes. Anti-Semitism and anti-Zionism isn’t simply coming into fashion with the Democrats, it is becoming their tool to win future elections. More anti-Semitic language from Democrats to follow? A virtual guarantee based on a strategic calculation that spells out “Islam-appeasing rhetoric equals votes.” And with it also the tragic alienation of grass root Americans who understand this game all too well and feel no joy in throwing American Jewry and America’s number one ally under the bus.